With over 2,600 employees, the Irizar Group operates through five coach and bus production plants (Spain, Morocco, Brazil, Mexico and South Africa) and five other companies involved in different sectors in Spain, as a result of its industrial diversification policy. It also has its own R&D Centre with a long-term focus on the applied research process and the technological development of proprietary products and systems. With a turnover exceeding 500 million euros a year, our group enjoys a commercial presence in over 90 countries on five continents. Founded in 1889, with more than 125 years of history and stronger and younger than ever, nowadays Irizar is a solid, geographically and industrially diversified and continuously growing Group; it is firmly committed to the brand, technology and sustainability, to its own-brand products in both electric coaches and buses and to other products in the sectors in which it operates. Our strategic lines include the development of Irizar brand and technology products and a clear commitment to increasing our technological capacity and industrial diversification. We offer customers a high added value by providing products created and developed thanks to the knowledge of the whole group, and designed for the Premium segment, which provide a differential in safety, reliability, sustainability, technology, service and profitability. This led to the birth of Creatio, the Irizar Group Research and Development Centre. Creatio enhances the Group’s capacity for applied research and technological development for its products and systems. Creatio works in long-term innovation, with a view to improving sustainable competitiveness in the future and generating wealth and employment as it grows. Creatio combines the technological capabilities and synergies of the Group companies and is the result of the Irizar Group’s key strategy of a constant commitment to industrial innovation. It is currently working on more traditional projects such as systems integration and firmly supports the new development of integral coaches and Irizar’s electromobility line. The brand is our greatest asset and an undisputed icon of our strategy to maximise the value of our customers, providing them with the best products and services tailored to their needs and offering them the guarantee of a solid project in which to trust. All this forms part of a strategy based on customer relations and building a direct relationship in order to gain their loyalty and trust. We work hard every day to achieve a leading position in the bus and coach sector. Management excellence and the commitment of our employees to encourage communication, participation, self-management and teamwork in the search for an environment in which everyone can contribute something to the project according to their opportunities and dreams, as well as efficiency, are the key to our future success. Design, innovation and the development of cutting-edge technologies and solutions on our buses and coaches are some of the pillars on which the Irizar brand is built and which form part of our culture and identity. We are continually working on projects to improve the production plants, on the image of the facilities, on new technologies, on product and service innovation and on strategy and management, enabling us to have a flexible organisation that is always moving forward. Increasingly intense efforts are dedicated to attracting knowledge and talent, thus increasing the capacity to create innovative products and cutting-edge technology. The Irizar Group Research and Development Centre enhances the Group’s capacity for applied research and technological development for its products and systems. Creatio is committed to long-term innovation, with a view to improving sustainable competitiveness in the future and generating wealth and employment as it grows. We also collaborate with technology centres and independent institutes and engineering firms worldwide. 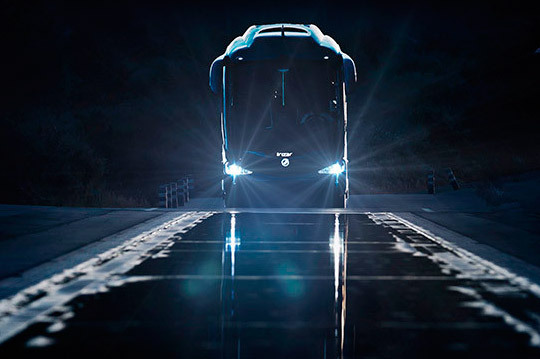 Its focus on the brand and integral products has seen Irizar make a firm commitment to industrial diversification and technology while also enhancing the quality and reliability of its products. We are creating new generations of coaches which are leading the way in innovation due to always providing added value in terms of design, aerodynamics, comfort, safety, reliability, profitability for the operator, cutting-edge technology and systems. In addition, Irizar is improving customer relations with its worldwide customers by adapting and customising all products and services to their needs, leading to enormous growth, particularly in Mexico and Brazil. Technological innovation is our strong commitment to the future. The lines of research in which we are currently involved include the integration of body parts, the integration of multiplex systems and the massive incorporation of electronics (MMI). 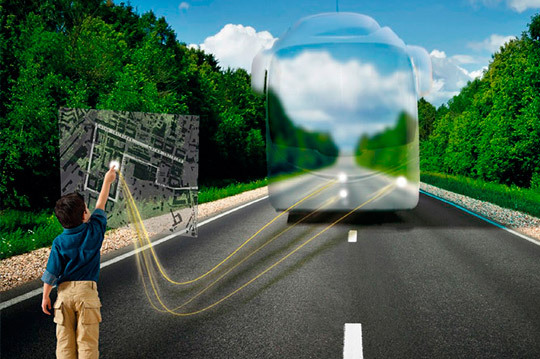 What’s more, we are providing more in terms of safety by offering the Magic Eye, which is a technologically advanced assistance system developed by Datik, an Irizar Group company, which helps to minimise the risk of distraction and collision by detecting and anticipating situations using radar and artificial vision technology, thereby contributing to a more reliable and safe driving. The DCB (Datik Computing Board) is a device capable of reading any information generated by vehicles, and the iPanelis a toolkit that uses the latest technology so that any customer may enjoy a central specialised technical support in order to optimise the performance and profitability of the fleet, in addition to performing a thorough monitoring of costs and efficiency. We work to transform the data and simplify it so that it is useful when making important decisions, offering integrated and tailored solutions to the needs of each customer. Similarly, EcoAssist is a fuel-saving solution that shows the driver a series of instructions that optimise his or her driving style. It provides efficiency data on fuel consumption and carbon dioxide emissions directly from the vehicle in order to assist in decision-making and optimising resources. A global service that enables a better managed, safer, more efficient and sustainable transport. Innovation in sustainability, protecting the environment and preserving the future for generations to come is one of our strategic priorities for the future. We are therefore engaged in improving energy efficiency, optimising waste management in all our businesses and reducing the environmental impact of our business and our products, to help improve the health and quality of life of citizens. 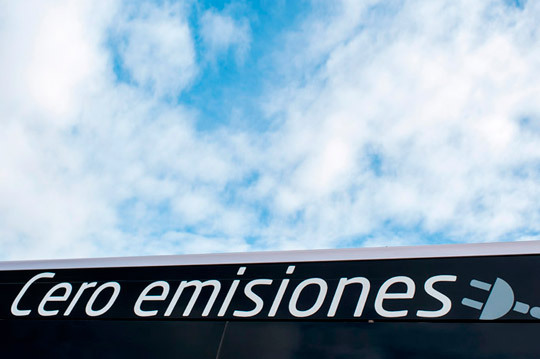 At Irizar, we are currently dedicated to being a market-leader for electromobility in cities and to positioning ourselves at the forefront of related new technologies with the aim of promoting the use of clean and accessible transport that is committed to the environment, well-being and health of people and creating better urban environments. We are committed to reducing noise pollution, to achieving low fuel consumption which reduces costs and to zero-emission vehicles. This is the new strategic line for the future of the Irizar Group. In addition to the 100% electric city bus, which is already a reality, the Group is engaged in new and ambitious projects for new products as well as in the construction of a new facility dedicated to this new line of business. The new projects underway will complement the electromobility needs of cities as well as the main electromobility components and systems: vehicles, charging systems, energy storage systems, etc. Our commitment to customers, innovation and technology already spans more than 125 years and this has enabled us to grow in size and capabilities, making us a strong international company that builds trust. Our future strategy is based on growth in the areas in which we operate, as well as on opening new markets, provided they contribute to profitable products. The end goal of the industrial diversification strategy initiated in 2009 is to position the Irizar brand as a leader in innovation, renewing and expanding its range of products to increase efficiency and competitiveness in order to create wealth and employment.